The Canadian Chapter of the PDA is an extension of the international non-profit organization The Parenteral Drug Association (PDA). The local chapter focuses its efforts towards organizing and providing local events targeted at pharmaceutical/biopharmaceutical industry members, especially those involved in development, manufacturing, quality control, quality assurance and regulatory affairs. 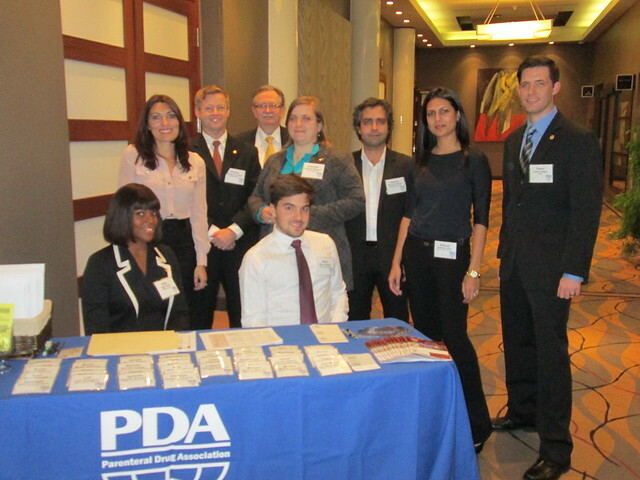 The Canadian Chapter of the PDA is comprised of volunteers from a variety of local industry organizations and is made up of an executive and program committee. 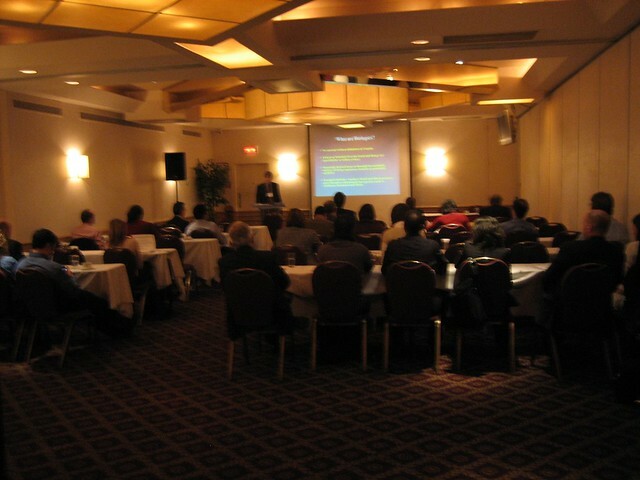 The Canadian chapter of the PDA organizes one major conference annually and some seminars and workshops throughout the year. 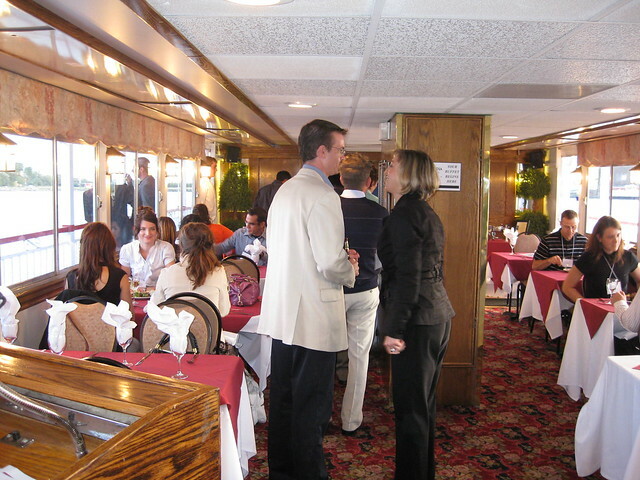 The objective of these events is to provide industry professionals with a venue and platform to converse and exchange information, while enjoying presentations from the top industry professionals. The Canadian Chapter of the PDA aspires to be an integral link in education and is always looking for new volunteers who may assist us in our efforts. Your support, comments and suggestions are the mechanism to our improved success. 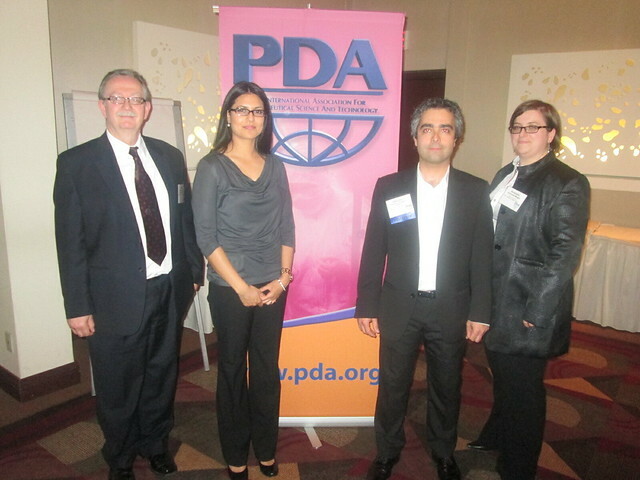 The PDA's Canadian Chapter was formed in 1988 though the guidance of Ed Fitzgerald, who was recruited by Fred Carleton, former Executive Vice President of the PDA. He very persuasively called upon Richard Kirchner, Peter Dunlop, John Teixeira and Jenny Allewell to become the first executives. They were President, Treasurer, Vice President and Secretary, respectively. Ed was Director-at-Large, reporting and coordinating with the PDA office. The Canadian Chapter was the PDA's first foreign chapter, and as such, we had rather unusual growing pains. Many long hours of debate went into the bylaws and it was through Peter and Rick's persistence that they were finally accepted by PDA's Board. Our first meetings consisted of courses held in Toronto in April of 1989, and in 1991 we had meetings in Toronto and Montreal. In the fall of 1993 the Montreal program committee launched the first full-day seminar to be conducted totally in French. 1994 was a year of transition for the Canadian Chapter, with the departure of our Past President, Richard Kirchner, who had been with the chapter since the beginning, and to whom we owe many thanks. In that year, much of our efforts went into reorganizing the chapter, redefining the role of each officer and developing a new approach to better serve our members. We realized that it was though communication that we would strengthen ourselves and one major undertaking was the establishment of a Canadian Information Letter. The first issue of the Information Letter was published in November 1994and was available in both official languages, French and English. Because of the vastness of our country, we need more than ever to create opportunities to form networks of understanding and cooperation. Forming liaisons with other sectors of the industry is one way that we can maintain the vital contacts needed to keep the pharmaceutical industry alive and well in our country.